The upside down snooker glasses are ideal for people playing snooker, the extra height at the top gives ideal table top performance, the semi rimless lens does not interfere in your vision when looking acroos the table. They are available with pretty much any prescription lens, for people either long sighted or short sighted. They where popularised by the snooker legend, Dennis Taylor back in the late 70’s and early 80’s. 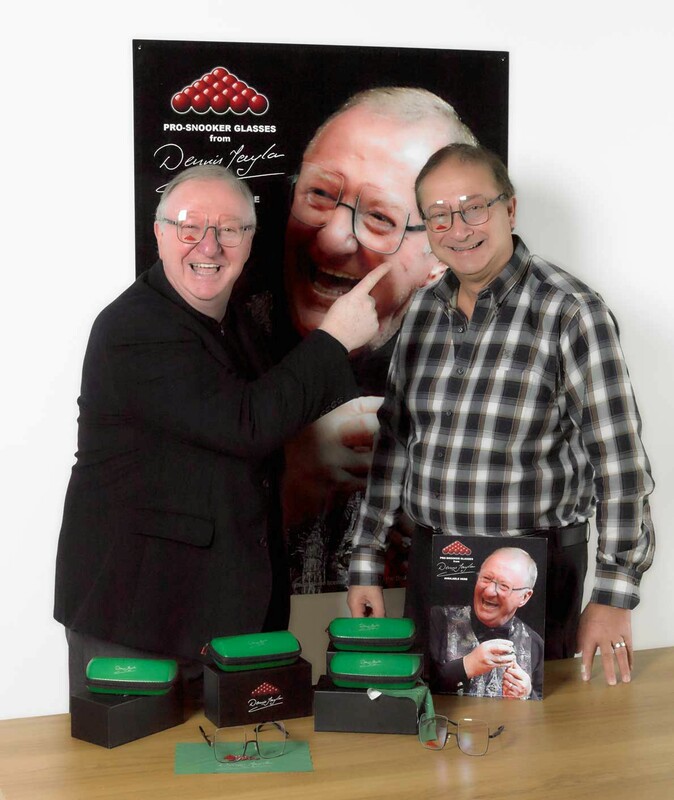 The models we have in stock have already become our best selling snooker glasses, they have been endorsed by Dennis Taylor, we have two models of snooker glasses available,. Both styles are semi-rimless and are available in two colour variations, black and dark gunmetal, with a matt finish to ensure there is no glare off the frame when playing. All frames are complete with an authentic Dennis Taylor signature on the temples as well as a monogrammed case & cloth all beautifully pakaged into an elegant box.